The adoptable dog of the week is one big snuggle bug looking for warm home to call her own. Meet Annie! 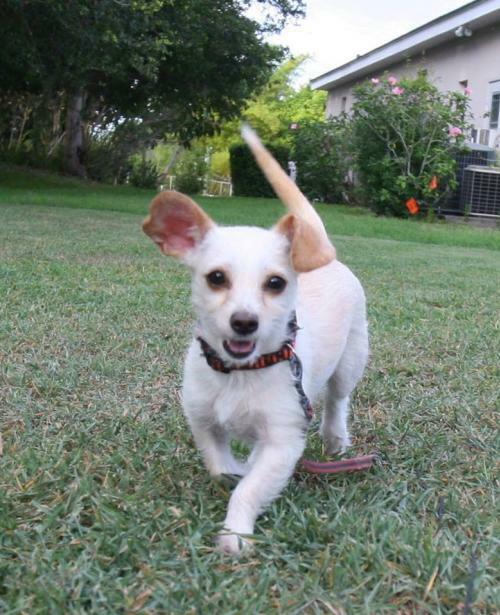 This darling little girl is extremely sweet and affectionate. 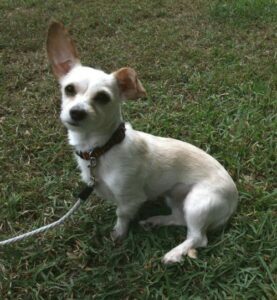 At just 2 years old, Annie is a social lady weighing in at a whopping 9 pounds. She loves everyone she meets including kids and gets along great with other dogs, too. Her previous life is unknown as she came to Satchel’s Last Resort after a short stint at Animal Services, where she was originally found as a stray. She is up to date on her vaccines and house trained as well. Call Satchel’s to schedule a time to meet this sweetheart by dialing 941-924-5070 or email them at comments@satchelslastresort.org. This story is brought to you by Ace Pet Resort an award-winning pet care facility with a knowledgeable and caring team situation on nine beautiful acres for the discerning pet that craves personalized care and individual attention. I would be interested in adopting Annie. What do I do next.